Vitamin C is a powerful antioxidant that belongs to the family of water-soluble vitamins, and is essential for physical health and the immune system, especially during the winter. 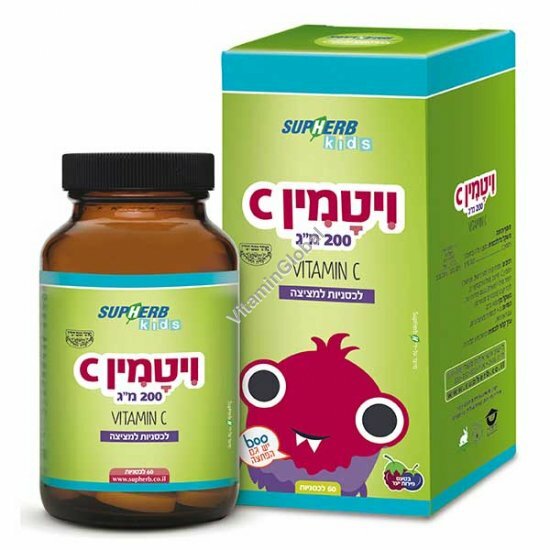 SubHerb’s Vitamin C lozenges contain an optimal dose for children of 200mg, and are ideal for children who have difficulty swallowing tablets or capsules of this essential vitamin. Directions: 1-3 sucking lozenges a day, just after meals. Parents considering this product for their children, pregnant and nursing women, and people taking prescription medications should consult a physician before use. The above information is not official medical advice. In case of a medical problem, contact your physician.